An ex-web developer and marketing consultant, I have turned my attention solely to food. With the two sides of indulging in eating cheese and making healthy food choices, I have a series of foods that I produce and sell in markets in the Bristol/Keynsham area. Want to try my food or want to get to know me? I take part in various markets in my local area and further a field in Somerset. Visit my stall and take a look around my fellow market vendors. 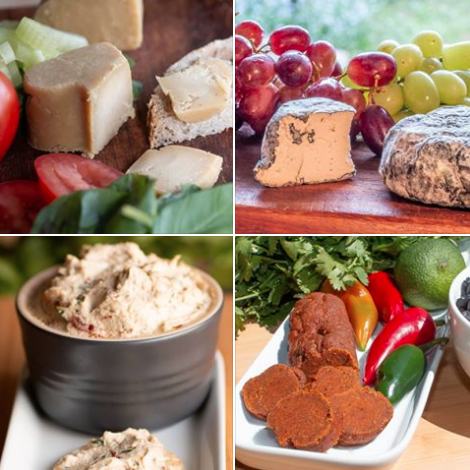 Products usually for sale: Dairy-Free Vegan Cheese, Vegan Cheese Snacks and Granola. Vegan Deli Food from Bristol – Cultured Not-Cheeses and Seitanic Sausages. Listen. In the city to The West, at the cusp of dawn, the Vision of a great and golden PULSE came to Persons Righteous & Woke, and spake unto them the trumpet toot of the Great Bean’s truth:From the Seeds, Sprouts, The Roots and Leaves that grow upon the Earth, shall you fashion Some Very Nice Food, that All shall be Pleased and Full and Thankful and Not At All Bored’And thus was Founded The Not-Dairy, where, Humble beneath the Wisdom of the Bean, Righteous and Woke strive daily, gently tending Not-cheeses and Not-tages in Stewardship and Love. All hand-crafted in the Righteous and Woke Non-Dairy and Cruelty Free Charcuterie. Tiger mylk is naturally creamy and sweet, and tastes great in coffees. It is locally made and delivered in reusable glass bottles in Easton, Bristol. 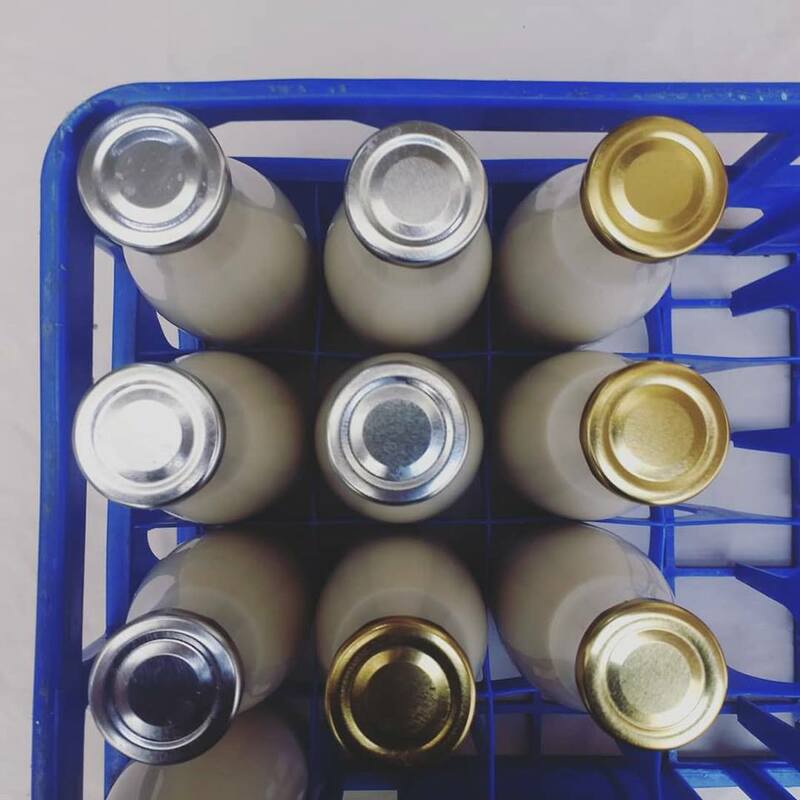 Hey all, I have been working on the recipe for a new alternative milk, and now it is ready – *tiger mylk*! It will be delivered in re-usable glass bottles, just like the ol’ days. It is made from tiger nuts, a naturally sweet and creamy plant that is high in calcium, magnesium and iron. There is also a *tiger & hemp* variety, which includes extra protein, omega 6’s and 3’s, and vitamin D. It’s £1.55 for the tiger mylk, or £1.70 for the tiger & hemp. Can only be ordered through Easton Food Assembly at the mo. We’ve just launched a new range of frozen vegan ready meals made right here in Bristol. 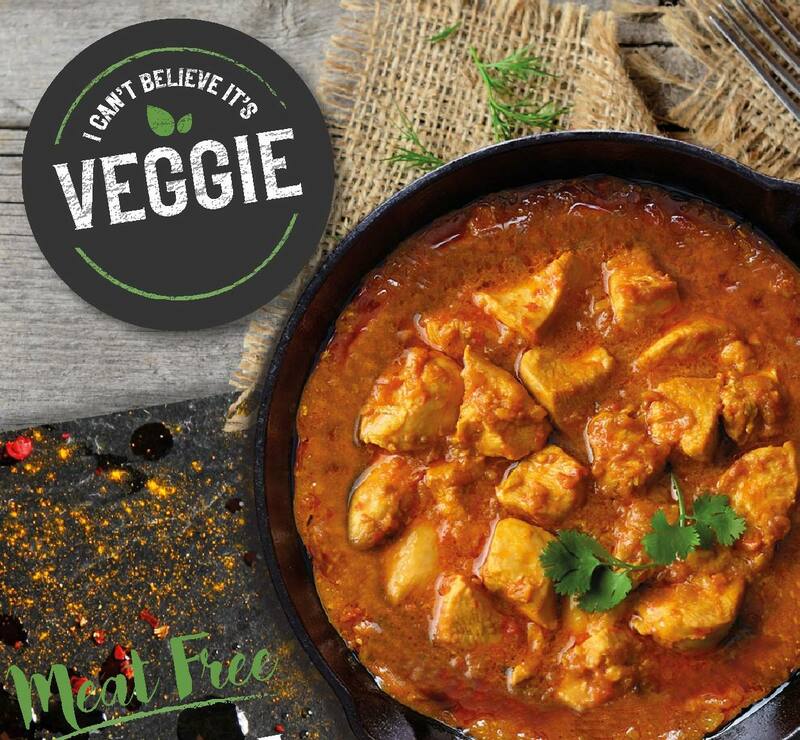 They include our tasty meat free chicken pieces made from soya. Think Quorn but much better! Available now from Scoopaway, Gloucester Road or from our website. We deliver to BS1 through to BS9. We’re happy to answer any questions aticantbelieveitsveggie@gmail.com . We are a small team with a big passion for veggie food. 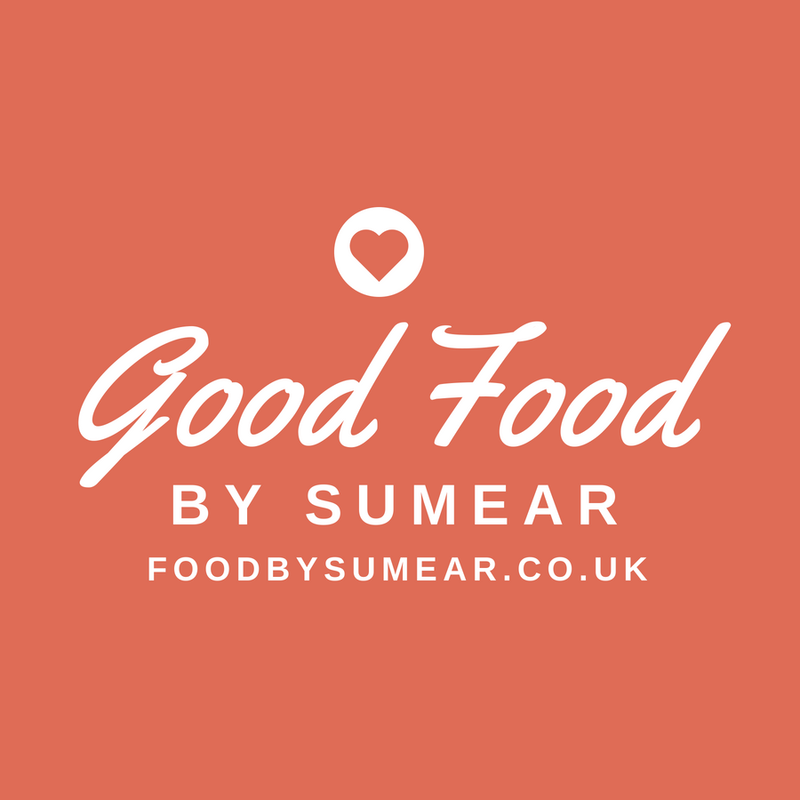 With years of experience in catering exclusively for vegetarians and vegans, we have finally made a range of vegetarian and vegan meals which we believe are the best tasting meat-free meals currently available. When you taste our meat-free chicken pieces you could be forgiven for asking “Is this really veggie?” Indeed, this is the very question we are asked most often when someone tries our food for the first time. (The second being “Please sir, may I have some more?!”). This is why we have our No Meat Guarantee. Our meat-free chicken is made from soy and wheat proteins with our special blend of seasonings to give it that succulent taste. Hi, I’m Mike. I’ve learnt a lot about food since moving to Bristol. On a plant-based diet, there are certain foods that keep me going… give me my mojo… are a necessity to me. Nut butter is number 1. This is how I like it: 100% natural: and with high quality ingredients added. Think fairtrade ground coffee, spices or ground carob (you’ve got to try this one). Instead of peanuts (I’ve an allergy), I make it with cashews, brazils & coconut flakes for optimum nutrition & some serious taste and texture. Norty Puds are delicious vegan pudding pots in three delicious flavours. Our puds are not only for fellow vegans, but for anyone with a desire for a delicious, nutritious and indulgent sweet treat. They look and taste naughty…. but they’re actually Norty. Best Raw Vegan Cake Finalist, Elspeth Humm of Elspeth’s Kitchen, is delighted to present Norty Puds, which will launch at Vegan Life Live in February 2018. Elspeth is happy to indulge her sweet tooth through her naturally healthy recipes, all of which have a nutritional twist. You won’t find any dairy, gluten, egg, soya or refined sugar in any of her ‘unbakes’, which instead focus on wholesome, nourishing ingredients, to allow for that feeling of indulgence without any of the naughtiness. It’s time to get Norty. We create innovative, superlative culinary sustenance to WOW our customers with that extra special feel-good factor! Our new menu launches on 18th September but we are so proud of our new and improved vegan line up that we just couldn’t wait to tell the world. Three new premium vegan sandwiches step up and throw their hearty and healthy hats into the ring to join our firm favourite Vegan Sausage – that champ is here to stay. In the green corner is the (surprisingly orange) Green Machine packed with spinach and pinenut falafel, hummus, kale and a tangy carrot tapenade (aah, there’s the orange). But the show isn’t over. Read more HERE.